Half of A Yellow Sun: Week 1 Synopsis. | AfroMadu. Half of A Yellow Sun: Week 1 Synopsis. Week 1 brings us character development, plot placement, and conflict like no other! In the first chapters we have already faced some issues and learned things about these people that would be panned out and developed over a long series of pages in other books. For this book we are story lining our entire discussion on twitter and it is available to view here! 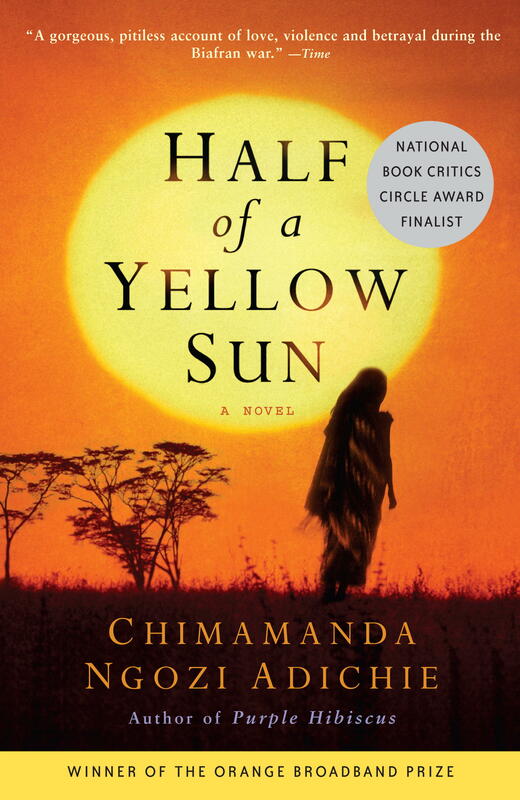 https://storify.com/AfroMadu/half-of-a-yellow-sun-discussion-1-jul-23-2014 If you haven’t participated on twitter with us, we HIGHLY recommend that you read the story line of the discussion first and then our synopsis to get the full experience of week 1! Ugwu’s class shock: It is very interesting to know that only a few blocks away from Ugwu’s village, his new place of employment overwhelms him with modern day technology and a whole new world of professionals, education, and space to discover and explore a life beyond his village. Ugwu’s class shock is super important in this book because it allows us to realize some class privilege that readers have when Ugwu is amazed by libraries and refrigerators. This grants us perspective to how things were during the 60’s in Nigeria and the historical context behind house servants and help around the “richer”. Dynamics between Ugwu and Odenigbo: Not only did Odenigbo hire the small boy as a house maid, but it is clear that Odenigbo is dropping gems and becoming a fatherlike figure to Ugwu as well. Despite the casual barks and rude comments that are said and demanded when it comes to Ugwu’s job, moments where there are room for intellectual growth, Odenigbo uses his profession and privilege to uplift Ugwu and grant him opportunities. Enrolling him into school, for one, shows the readers that Ugwu is not going to be an ordinary houseboy. What a cool benefit package! Subliminal political plug-ins: Adichie has a way with words! the dialogues that are held within the characters aren’t just regular conversations that need to be dismissed during this time. Every conversation is definitely needed for us to understand Nigerian history and other international conflicts during the sixties. This is not an ordinary tale. We are learning about the characters but is being taught about events during that time as well. Conflicts between the Nigerian tribes and European influence seems to leak out of these pages, giving us more insight on race relations and inequalities. Plot twisting Olanna and company: Just when Ugwu was getting into the swing of life at the home front, Odenigbo’s girlfriend Olanna is in the picture. Not only is she gorgeous, but the amazing love story begins to heighten this book to the next level. Odenigbo and Olanna’s beautiful energy is definitely a breath of fresh air for this story and her family history and drama is very fun to see unfold as well. 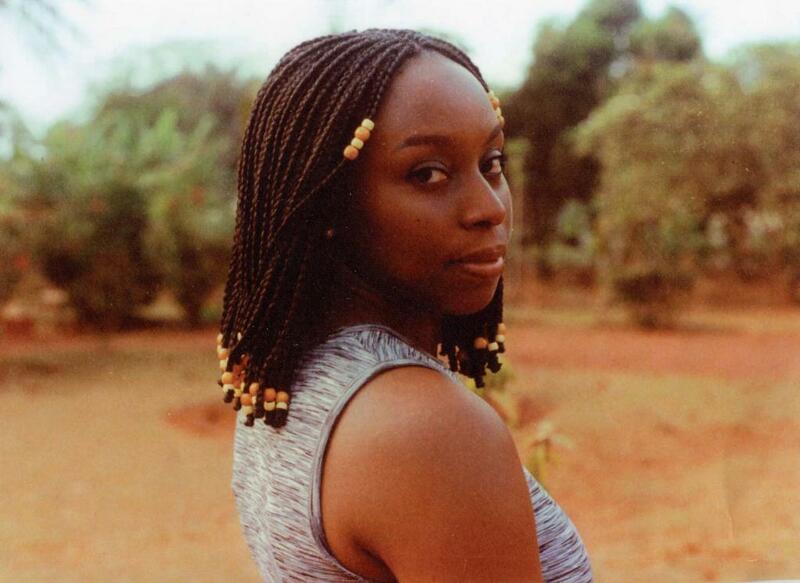 Things like the small rivalry between Olanna and her sister Kainene, Olanna’s minimalistic ideology while her parents wants to force her into a lifestyle of materialism and credentials, and the search for Kainene’s love life is a great way to enter more people into this beautiful story mix. European perspective: Just when we thought drama would be casted onto the characters in the first two chapters, chapter three smacks us in the face with White privilege and stereotypical Whites in Nigeria. We are introduced to the small crowd of colonialistic, (yea, we made that word up) assholes that enjoy deeming Nigerians as barbaric people rather than the human beings that they are. Adicihie’s way of reminding us that there are in fact “those people” who will not allow the country to prosper. We are introduced to Richard, another important character in another important developing love story between him and Kainene. Yes, an interracial couple in Nigeria during the 60’s. Chapters 4-16 is up for this week, and although those are a lot of pages to tackle, this book is definitely worth it. Dig deep, and read up on it! You will benefit from it when we are all discussing what went on in those chapters. Keep reading! See you during the end of the week!